INSIGHT: Branches have been used to weave baskets. Wood is light, brittle but durable and has been used by Indians for making bows, also used for fence posts and fuel. 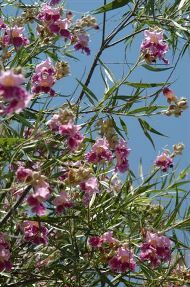 Desert willow is a good bee plant. 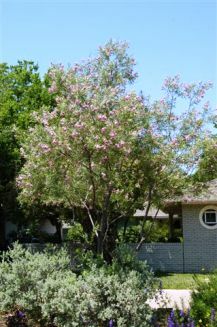 Benny Simpson in his book A Field Guide To Texas Trees says that the tree is attractive when grown to its full height but also when pruned back heavily and kept at 3 to 10 feet.